The center of Imperial politics, Aldorus serves as the capital of the Empire. It is here that the Five Families formed their alliance over 700 years ago and crowned the first Emperor. Aldorus has a mixed climate: with cold regions in the north and south latitudes and warm, tropical areas along the equator. On the main continent, near the city of Regalis, forested hills are prominent; while on the secondary continent, the Palatine Mountains dominate. On a smaller, third continent, the arid Devil’s Cauldron is surrounded by a saltwater ocean and large, brackish lakes. This is the sprawling capital city of the Imperium and home of over 15 million inhabitants. In many ways, Regalis is a microcosm of the rest of the empire: each social class divided geographically within the city. In the west, across the Regalis River, the Aristocracy and the Imperial government reside in lavish homes and offices. East of the river, the Middle Class keep the wheels of the empire turning while, in the south, Ashetown serves as a social dust bin for the Underclass. The Imperial Palace stands in opulent beauty with a grand façade of gold, stained glass, and marble columns. Like a cathedral, it reminds visitors that the inhabitant of the Palace is the ultimate ruler of the Imperium with near omnipotent powers. North of the Imperial Senate are two 100-meter reflecting pools lined up end-to-end, with a triumphal arc between them. Along each pool are statues of historic heroes of the Imperium, each holding a spear outstretched across the water. Soldiers leaving for active duty often come to the park to drop coins into the pools for good luck. In Aldorus’ western hemisphere run the Palatine Mountains. 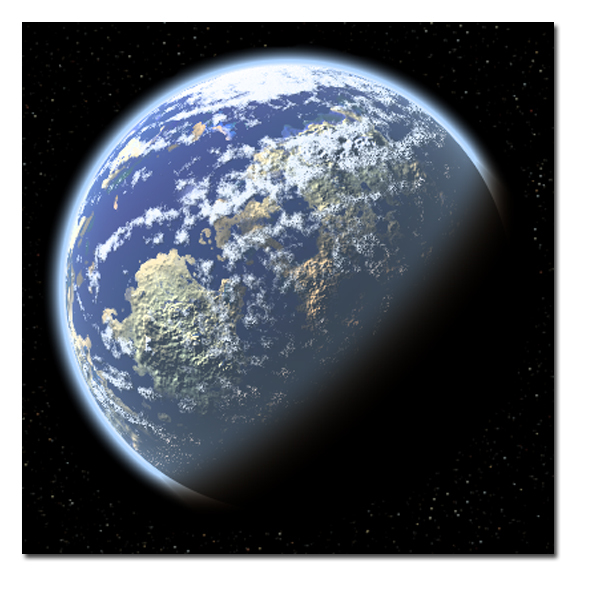 Actually a series of tall peaks with high altitude coniferous forests in between, the Palatine Mountains are surprisingly remote on a planet with over a trillion inhabitants. Although numerous companies have attempted to exploit the area’s natural resources, radical environment groups and even the natural resources themselves (dangerous creatures and treacherous terrain) have beaten back each effort.